CoinAPI is one of the most comprehensive data providers for the cryptocurrency market. CoinAPI have a number of different pricing tiers for their service which range from a free version which has 100 daily requests to a tier which costs $599 per month and 100,000 daily requests. 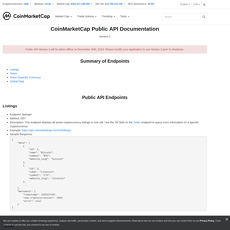 The CoinAPI team can also be contacted for enterprise solutions. The CoinAPI solution aims to be extensive in what it includes. It has data from almost 100 exchanges and over 2000 markets. It aims to be the one stop shop for data in cryptocurrency. 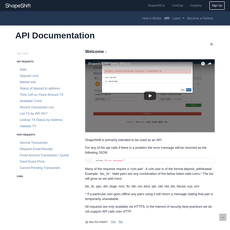 CoinAPI has clear documentation on how to use their API on their website. 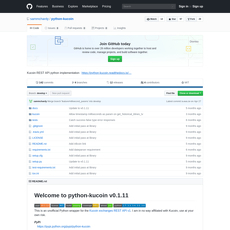 CoinAPI data can be delivered via HTTP, REST, Fix, and WebSocket. Fix and WebSocket is to be used for more demanding tasks that require real-time data. Most API's available in cryptocurrency are secondary to other business operations. With CoinAPI being solely focused on the API as their business, they provide a much more professional API that covers the unique needs of those in the industry. It is more expensive than other API's but reviews report it to be a higher quality and more reliable. 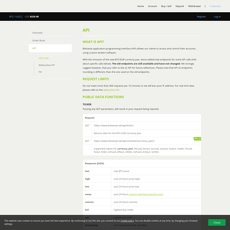 Servers are located in the United States, Europe, and Asia to minimise latency and downtime.